In recognition of contributions made in the field of wildlife conservation, three New Mexico Department of Game and Fish awards were handed out to deserving recipients at the Governor’s Special Hunt Auction and Banquet in February. Heavily involved in a number of high-profile projects, Eric Frey, sportfish program manager for Game and Fish, was honored as the Professional of the Year. Frey accepted the responsibility for habitat restoration projects on the Red River and at Eagle Rock Lake. Despite limited budgets, poor concrete, bad weather and last-minute engineering concerns, nearly the entire project was completed in 2015 as a result of his dedication to the resource. In addition, Frey coordinated the department’s response to the Gold King Mine spill, was an integral part in a restoration project for Rio Grande cutthroat trout, and tested new methods to measure angler satisfaction and catch rates. Any number of reasons can be cited for the Dona Ana County Associated Sportsmen Group winning the Conservation Partnership Award, but high on the list is the organization’s commitment to engaging youths. The group has encouraged and supported youth hunting opportunities, contributed thousands of dollars in support of the Butterfield Shooting Range, contributed funds to a local 4H shooting team, and supplies scholarships to New Mexico State University students in the fish, wildlife, and conservation ecology department. Members have also provided volunteer hours in support of conservation projects and hunter safety education. 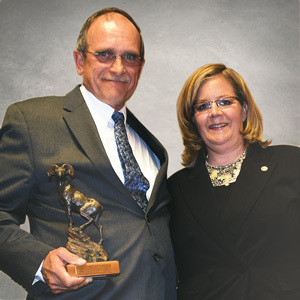 Tod Stevenson’s storied three-decade career at Game and Fish, culminating in his appointment as director of the department, resulted in his earning the Lifetime Achievement Award. Stevenson’s career began in 1977 at a state hatchery and concluded in 2011 when he retired as the director. 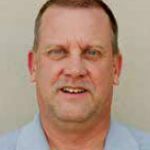 He served as an assistant foreman at the Red River Hatchery, began his law enforcement career in 1981, was named the Wildlife Division division chief in 1999, assistant director in 2002, deputy director in 2003 and served as director from 2008-2011. 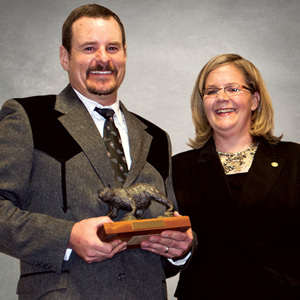 Among his many achievements was the Shikar Safari New Mexico Wildlife Officer of the Year award and receiving a National Performance Review Letter of Appreciation and Award from then Vice President Al Gore. In the 1980’s Stevenson was instrumental in the arrest of “The Gila Monster,” a dangerous, heavily armed vagrant and poacher. The arrest was made without incident.